Material:mineral ores, sand, ore powder, metal powder, gypsum powder, clay, coal slime, coal powder, sawdust, wood, fertilizer, animal manure,charcoal, coconut shell, palm shell, etc. 1. Rotary dryer mainly consists of cylinder device,front and rear roller device, feeding and discharging device, gearing device, gear cover and other components,etc. 2. 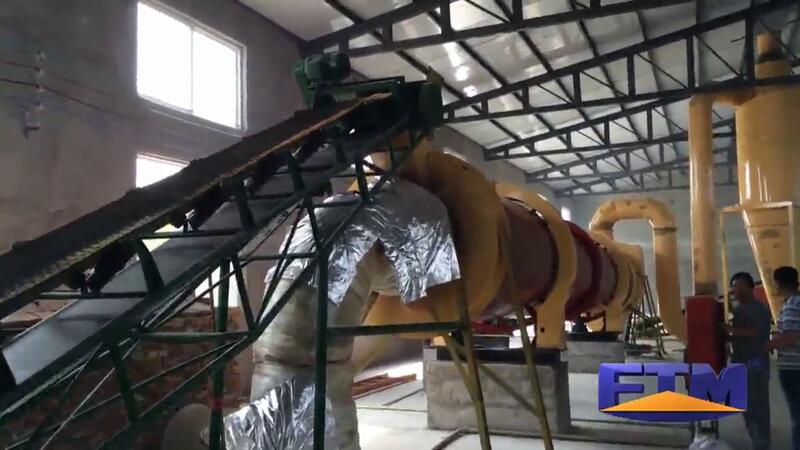 Rotary dryer is widely used to dry mineral powder, slag, clay, limestone, lignite and other materials in mining, metallurgy, building materials, chemistry and other industries. 3. We supply the following dryer: wet material rotary dryer, sand dryer, sawdust dryer, coal dryer, coal slime dryer, bentonite dryer, ore concentrate dryer, wood chip dryer, cassava dryer, gypsum dryer, cow dung dryer. 7 Automation control reduces the operating personnel, saving labor resources. 8 The outlet temperature is low and the dust removal device has long service life.